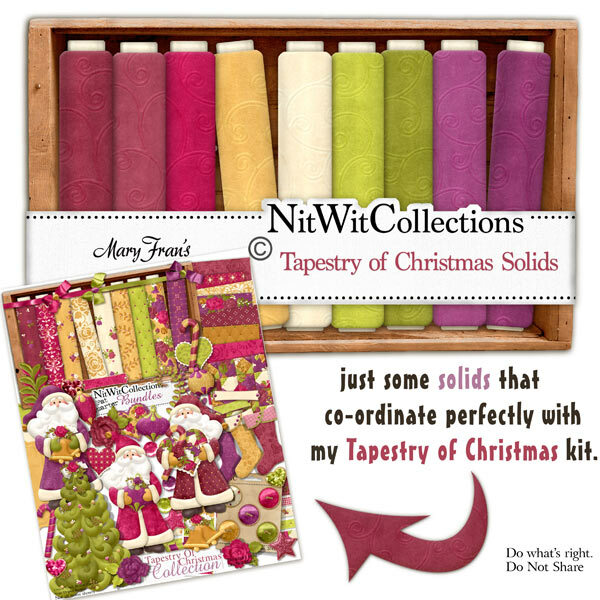 "Tapestry" Solids contains all of the solid papers that work so well as backing papers for your cards and layouts. These solid background papers are NOT included in the FQB "Tapestry of Christmas" Collection. This product was added to our catalog on Wednesday 16 November, 2011.